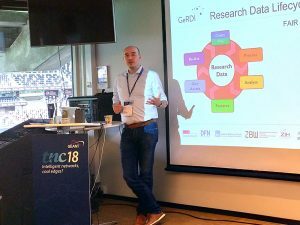 Jakob Tendel talked about „User-focused Service Development in the GeRDI Project” on Wednesday at the TNC18 conference in the session “User Requirements Odyssey”. The focus was on our community management and our feedback process. The concept of the project-funded community manager was praised by the audience.